How to create a survey or form with e-signatures? Using ProProfs Survey Maker you can create online forms, with an e-signature option, such as a registration form, application form, a non-disclosure agreement, a sales contract, online petitions and more. 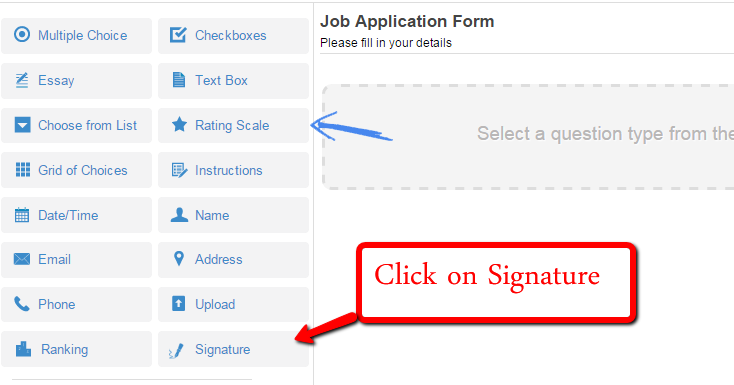 Such a form allows your respondents to add their signatures before submitting the form. 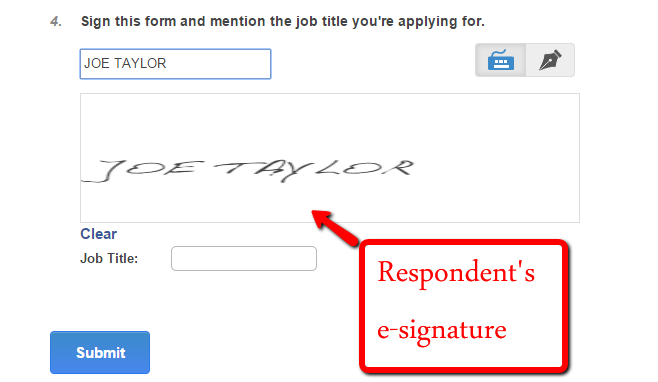 Follow the steps below to learn how to add an e-signature option to your surveys and forms. Step 1. 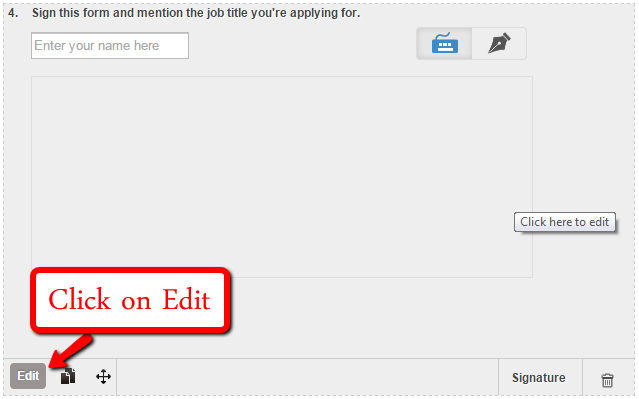 On your create dashboard, select the option "Signature". Step 2. 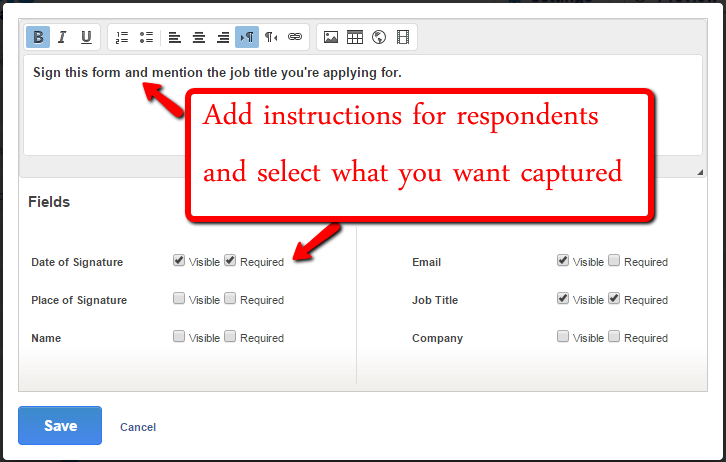 Click on edit to add instructions for respondents and to select or remove what information you want to capture.